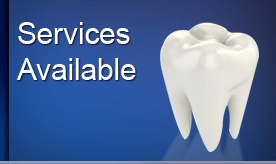 What are dental cleanings and why have them? 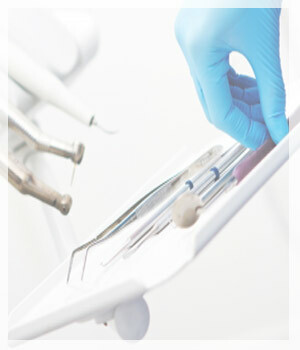 Dental cleanings involve removing plaque and tartar built up on the teeth. Your teeth are continually bathed in saliva which contains calcium and other substances which help strengthen and protect the teeth. While this is a good thing, it also means that we tend to get a build-up of calcium deposits on the teeth. Usually it is tooth coloured and can easily be mistaken as part of the teeth, but it also can vary from brown to black in colour. If tartar build up occurs on the teeth it will unfortunately provide the right conditions for bacteria to thrive next to the gums. The purpose of teeth cleaning is to make the surface of the teeth clean and smooth so that bacteria are unable to stick to them. Regular home care is part of the process of battling against tartar and plaque build up. 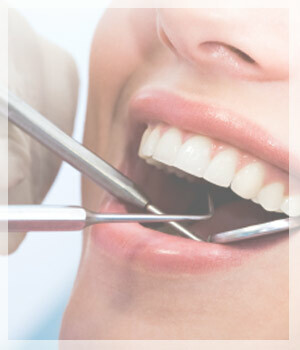 The dental hygienist uses specialized instruments to gently remove these deposits without harming the teeth. Commonly used first is an ultrasonic instrument which uses tickling vibrations to knock larger pieces of tartar loose. It also sprays a cooling mist of water while it works to wash away debris and keep the area at a proper temperature. The device typically emits a humming or high pitched whistling sound. This may seem louder than it actually is because the sound may get amplified inside your head. Once the larger pieces of tartar are gone, the dentist will switch to finer hand tools to remove smaller deposits and smoothen the tooth surfaces. These tools are curved and shaped to match the curves of the teeth. They allow smaller tartar deposits to be removed by carefully scraping them off with a gentle to moderate amount of pressure. Most people find that cleanings are painless. A lot of people even report that they enjoy cleanings and the smooth feel of their teeth afterwards!